Many people who are getting married north of Toronto in Muskoka choose to do so because they want to escape from the pressures and people of the city and enjoy a time together with their family and friends without the stresses of traffic and time constraints on the wedding day. As such the beverages usually flow freely and the guests at your wedding are fun loving and ready to party. 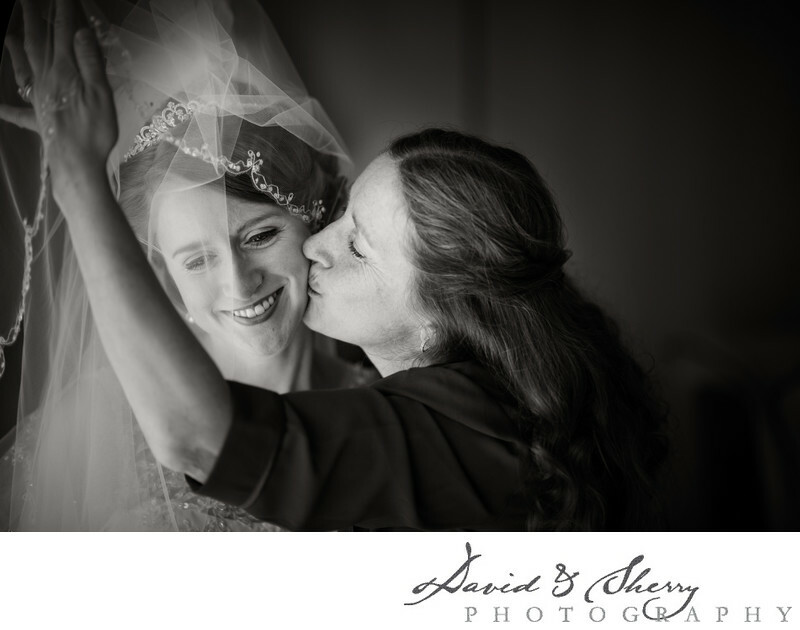 During these types of weddings we turn our attention to a more photojournalism style of wedding photography in order to capture all of the real emotion and moments that are happening throughout the day. In the morning mom and daughter often share little moments together as they are excited and have dreamt of this day for many years. Fathers of course have dreaded this day for years and are often very emotional. During the partying later in the evening everyone is on the dance floor including grandma and grandpa which makes for memorable photos as who knows for how much longer the grandparents will be able to dance. We love capturing all of these moments naturally by being flys on the wall so to speak and staying out of the way while watching for the action and Henry Cartier-Bresson said the defining moment.